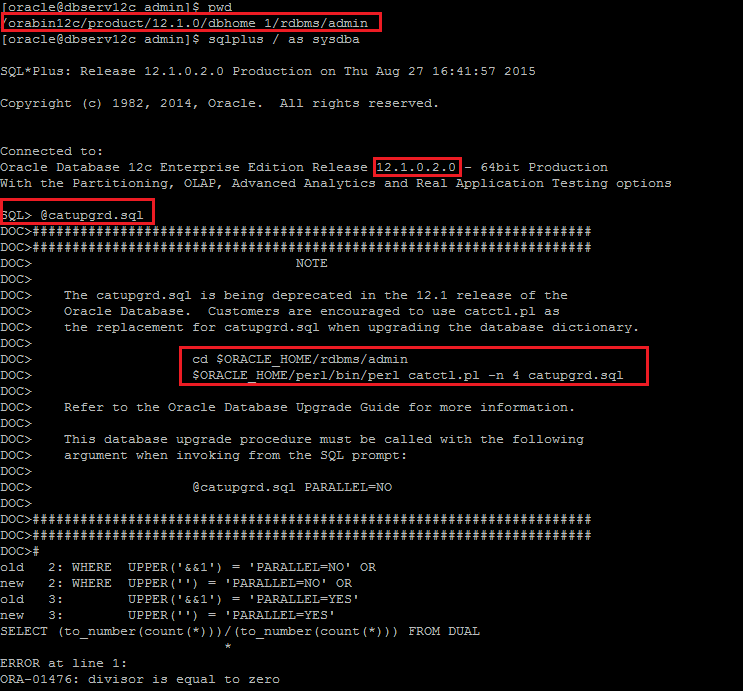 This article explains how to upgrade Oracle database from the version 11gR2 (11.2.0.4) to the version 12c (12.01.0.2) using the RMAN Full backup. 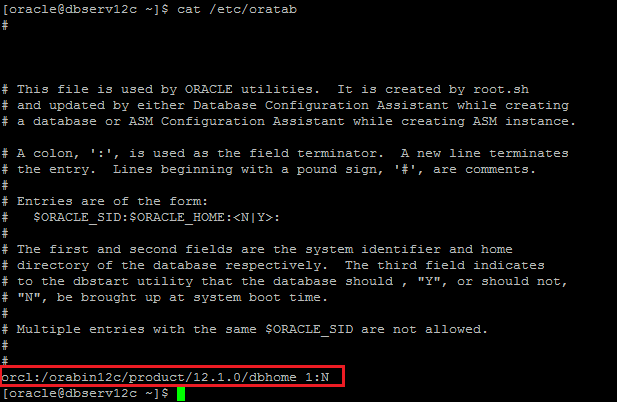 Note: To upgrade Oracle database to 12c from previous version, there are some specification about the source Oracle database version. Note: This article describes the backup steps on the production server and also the restore steps on the 12c Server, and doesn’t describe the steps how to install the Oracle database 11g or 12c which they has been described on the previous articles. 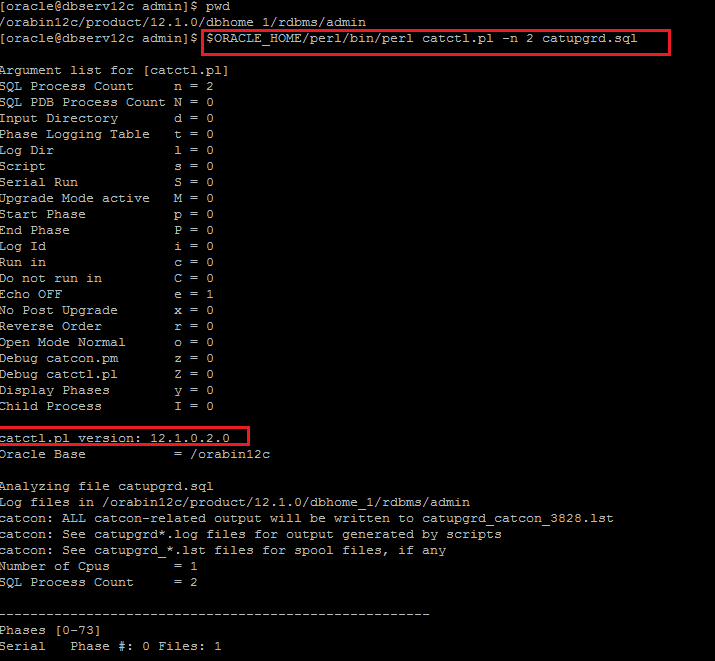 Step 1: Verify that the archive log is enabled on the Linux database 11g. 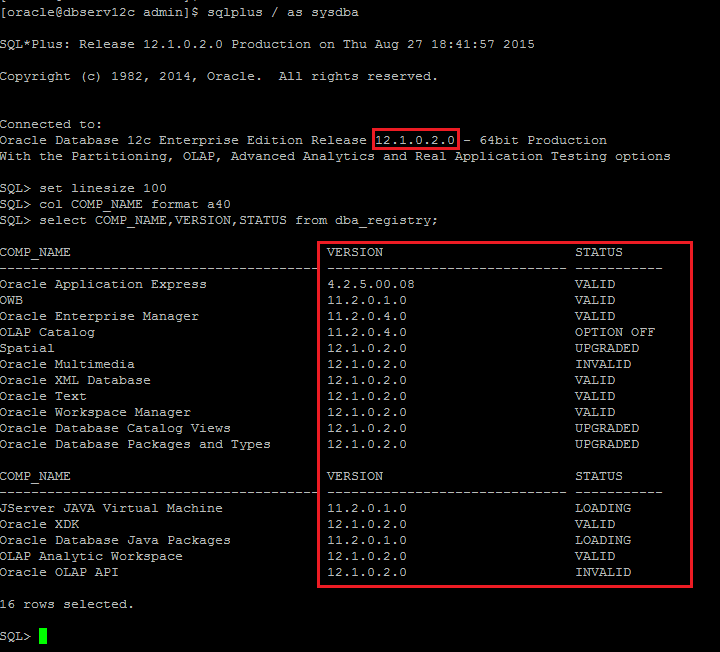 Create a PFILE for the 12c database. Since we are restoring the database with the same filesystem and locations as the original, we don’t need to convert the file names. 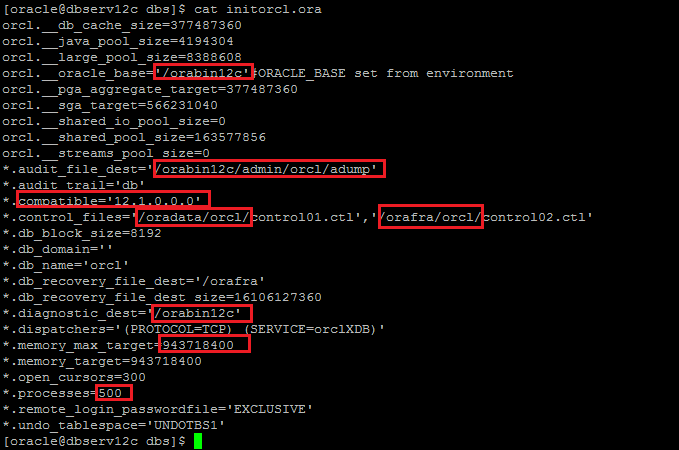 In this case, the PFILE is called “initorcl.ora” and is placed in the “$ORACLE_HOME/dbs” directory on the 12c server. 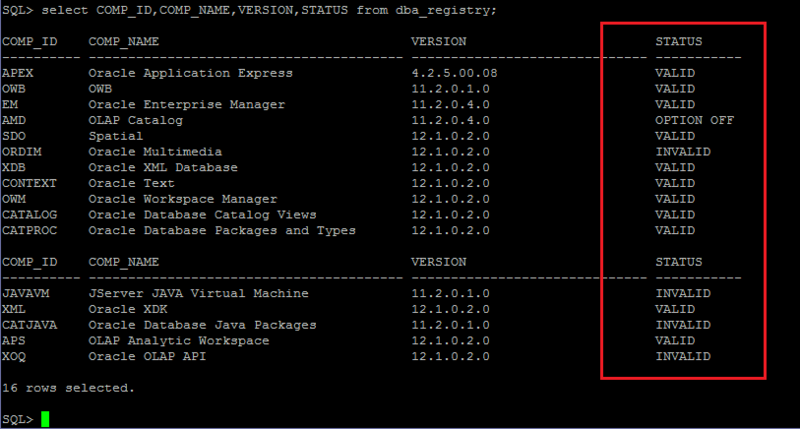 Step 3: Startup the orcl 12c instance on the 12c Server. 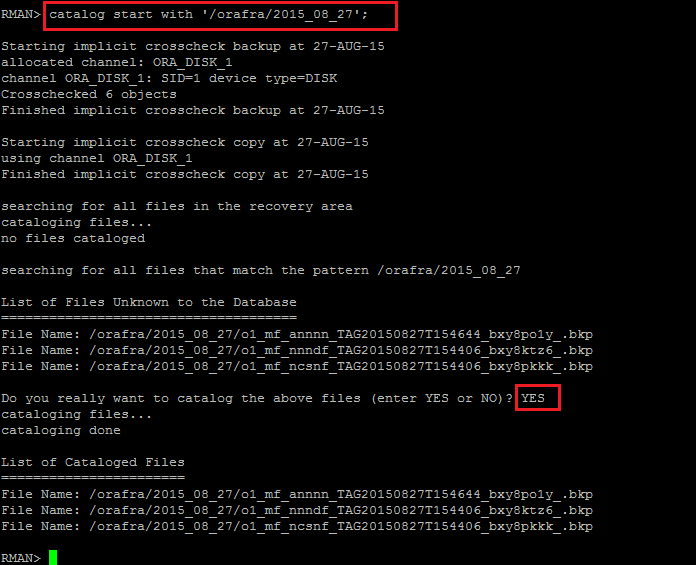 Step 4: Restore the Control file on the 12c Server. 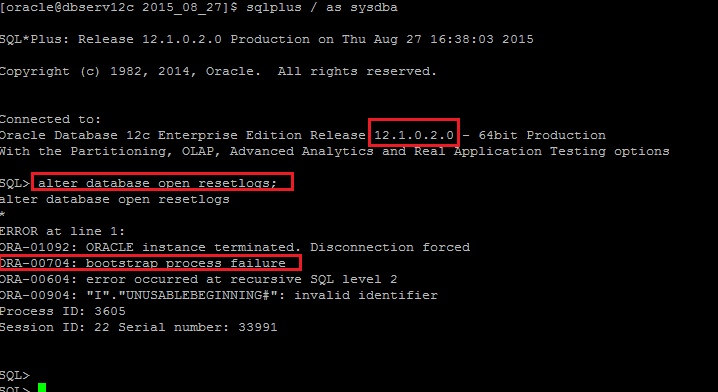 Note: In the previous version of 11g, we use the sql script catupgrd.sql to upgrade the Oracle components, but the catupgrd.sql is being deprecated in the 12.1 release of the Oracle Database. Customers are encouraged to use catctl.pl as the replacement for catupgrd.sql when upgrading the database dictionary. Note: There are some Oracle components have the status OPTION OFF, UPGRADED, INVALID, LOADING, and then we should recompile the Oracle database objects. 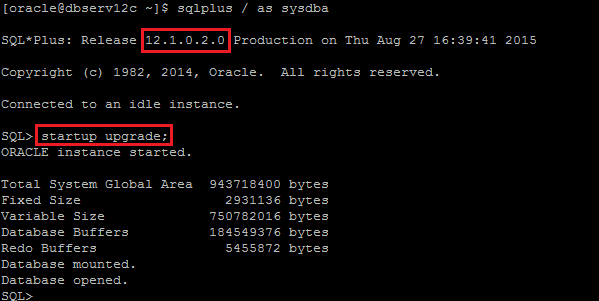 This article explains how to upgrade Oracle database 11g (11.2.0.4) to Oracle Database 12c (12.1.0.2).